Happy New Year! As we head into 2019, DCSC is focused on diligently meeting our motto this year to promote, expand, and support the work of our member schools. An essential part of this work is answering this question: How can we help you help your school? In promoting the work of our member schools, we’re looking forward to our 5th Anniversary Convening in New Orleans January 31-February 1st. Our convenings and other events are held in order for our member schools to share their work within a network of organizations committed to educational equity. We’re especially looking forward to announcing the DCSC School of the Year. RSVP and see which school will be named! With expanding the work of our member schools, we’re recruiting for the next cohort of UnifiED Fellows. UnifiED trains aspiring school leaders of diverse-by-design charter schools through support and residency in a member school. If you want to learn more about UnifiED, be sure to attend the UnifiED session at our upcoming convening. Supporting the work of our member schools is the core of DCSC. We have two projects that we’re initiating this year: a Needs Analysis, where we’re collecting information on what our schools need from DCSC. The larger project is a Data Collection & Analysis which will: 1) collect and analyze data about the key practices of our member schools and 2) share out best practices with other schools (members, non-members, charter and district) to support our efforts to promote, advocate and develop policies that expand diversity, equity, and inclusion in all schools. You can learn more about all of this work as you read below and at the Convening. We’re happy that you’re apart of DCSC and we look forward to continuing to grow with you as we help to promote, expand, and support your work. We are thrilled to share the Dave Bryson has started as DCSC’s new Deputy Director! Dave is joining us from the Enroll West Contra Costa initiative, and before that was the Director of Operations of Bedford Stuyvesant Collegiate, part of the Uncommon Schools network in Brooklyn, NY. You can read more about Dave here. Dave is based in Berkeley, CA and will be our West Coast eyes and ears. Please reach out to Dave to say hello and for any questions you may have: dbryson@diversecharters.org. DCSC has just partnered with EduDream to lead the efforts on our Needs Analysis Survey. EduDream is a consulting firm based in Chicago that works within the education reform space. EduDream alongside DCDC will be reaching out to schools over the course of the next few weeks with questions on how we at DCSC can support you better. You can learn more about EduDream here. We’re excited to announce that Larchmont Charter School and Valor Collegiate Academies are our finalists! The School of the Year Award will be announced in New Orleans. Come see who will take home the award during our 5th Anniversary Convening! On January 8th Ashley and Seon visited member school Elmwood Village Charter School in Buffalo, NY. Elmwood, led by Danielle Bruno, currently hosts a 2018-2019 UnifiED Fellow, Daniel Brink-Washington. Elmwood is home to 450 students across grades K-8 and supports its students in multiple ways, including offering high school preparatory courses for its students as well as after-school academic support through the local Boys and Girls Club. They observed classrooms and spent time with staff and students. 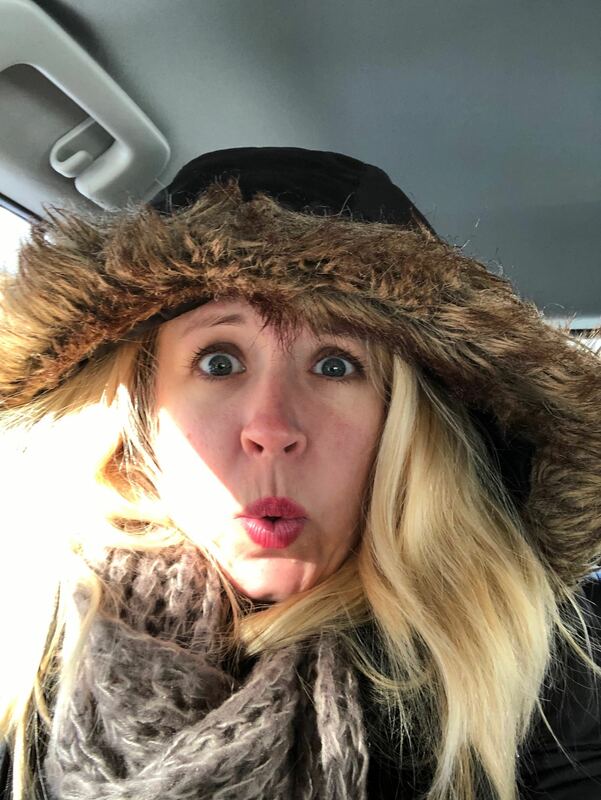 It was a great (cold!) visit to Buffalo! 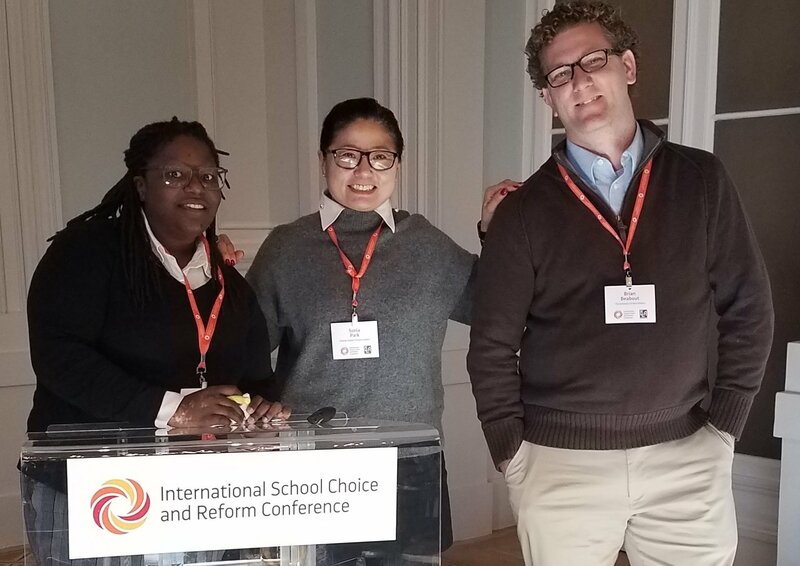 About the same time, Sonia along with DCSC Board Member Brian Beabout and his colleague Shante Williams presented at the International School Choice and Reform Conference in Lisbon, Portugal. Sonia was part of a critical conversation led by Karen Drezner on School Choice in the US: Opportunities and Challenges in Urban Communities (Boston, New York and New Orleans). Brian and Shante presented their research on Leading Alone: How School Leaders Experience a Charter/District Turnaround school in New Orleans. There were thoughtful and provocative conversations held in Lisbon, with and without porto, but always in beautiful weather. Congratulations to Lee Montessori Public Charter School! The DC Public Charter School Board approved the expansion of Lee Montessori’s charter, enabling the school to establish the first standalone public Montessori school in its area. Located in Brookland, Lee Montessori is one of only five public Montessori schools in the District and the only public elementary school in DC to earn Recognition-level accreditation from Association Montessori Internationale for the United States (AMI-USA) for ages 3-12. By 2023, combined enrollment at both campuses will exceed 650 students. Congratulations to Lee Montessori for its achievements in being able to include more students in the impact that it will continue to make. Read more about Lee Montessori’s expansion here. Congratulations to Citizens of the World KC and UnifiED Fellow Alisha Gripp! Citizens of the World Charter School – Kansas City, MO COTW was approved to expand and open its new middle school Kansas City in response to the growth they’ve seen. COTW currently serve K-5and eventually the school plans to expand through 12th grade. The school takes a unique approach to meeting the emotional needs of a middle school student while educating them in a diverse setting with a rigorous academic curriculum. It is one of two new, diverse-by-design charter schools launching through the Coalition’s UnifiED School Launch program. Alisha Gripp is a current Fellow in the inaugural class. Congratulations Alisha and the COTW team. Read more about COTW’s expansion here. Congratulations to UnifiED Fellow Dana Mulwanda! Dana and her husband welcomed baby Zora December 28, 2018. Mom, baby, big sister, and dad are all doing well! The lack of a racially diverse teacher workforce is one of the most critical equity issues of our time. The Council of Chief State School Officers (CCSSO) believes that if we are to ensure every student, across every race, ethnicity, language, family background, and/or family income, has access to the educational resources and rigor they need at the right moment in their education, then we must meaningfully and significantly increase racial diversity in the teacher workforce. CCSSO works with state education agency leaders towards the goal that by 2025 at least 15 states will have evidence of increased racial diversity in their teacher workforce and proof-points that all teachers demonstrate culturally responsive practice. CCSSO has created a report as a call to action by state chiefs, and leaders from educator preparation providers (EPPs), local education agencies (LEAs), legislatures, unions, and civic and community groups. Read the CCSSO report here. New York State’s education system suspends Black students at more than four times the rate of White students outside of New York City and more than five times the rate of White students in New York City, according to a report by The New York Equity Coalition. The report comes as the New York State Board of Regents moves forward with important regulations that address how schools will be held accountable for reducing out-of-school suspensions for all groups of students as part of the state’s new accountability system under the Every Student Succeeds Act, and as New Yorkers prepare for a state budget and legislative session that can make 2019 a turning point in stopping punitive discipline and instead supporting restorative practices and strategies to combat implicit bias. Using previously unpublished state data on the number of students on whom school districts imposed at least one out-of-school suspension in the 2016-17 school year, The New York Equity Coalition finds a statewide crisis in the use of suspensions to exclude Black students from classroom instruction. Read the Stolen Time report here. The National Charter School Resource Center (NCSRC) released another series of data dashboards prepared for the U.S. Department of Education’s Charter Schools Program (CSP). These dashboards present comprehensive data for CSP grantees who received awards through the Replication and Expansion of High-Quality Charter Schools (also referred to as the Charter Management Organization or CMO) program in Fiscal Years 2015, 2016, and 2017 as well as for all Credit Enhancement for Charter School Facilities (CE) program grantees. The CMO dashboards provide information on each CMO’s award, the subgrants awarded to individual schools, details on school enrollment and location, and other information on the state charter context. The CE dashboards provide complete transactions data, including comparisons across CE grantees. You can view the CMO CSP dashboards here. You can view the CE CSP dashboards here. Ed Trust’s new resource, Aiming for Equity: A Guide to Statewide Attainment Goals for Racial Equity Advocates, offers racial equity advocates a primer on statewide college degree attainment goals and presents ideas for what to demand from policymakers to ensure students of color are prioritized. The guide includes a national analysis of the extent to which statewide attainment goals have addressed racial equity, a list of models and resources that stakeholders can look to for examples of best practices, action steps for advocates based on their states’ progress on setting attainment goals that center racial equity, and an appendix with links to additional materials and information on each of the 43 existing statewide degree attainment goals. Read more about the guide from EdTrust and download it here. The Charter School Growth Fund (CSGF) is looking for the next generation of entrepreneurs from across the country to join the 31 talented leaders of color who have received support through the Emerging CMO Fund to date. Through the Emerging CMO Fund, CSGF will support the growth of the next cohort of high-performing, early-stage charter school networks led by entrepreneurs of color. This program is available to entrepreneurs of color who currently lead a single-site or an early-stage charter school network and want to grow one to two more great schools. If you have any questions about the process, please contact emergingcmo@chartergrowthfund.org. Diverse Charter School Coalition, CityBridge, and Inspired Teaching Demonstration School are pleased to announce a new partnership that prepares aspiring leaders to create and lead innovative, high performing, intentionally diverse charter schools in Washington, D.C. 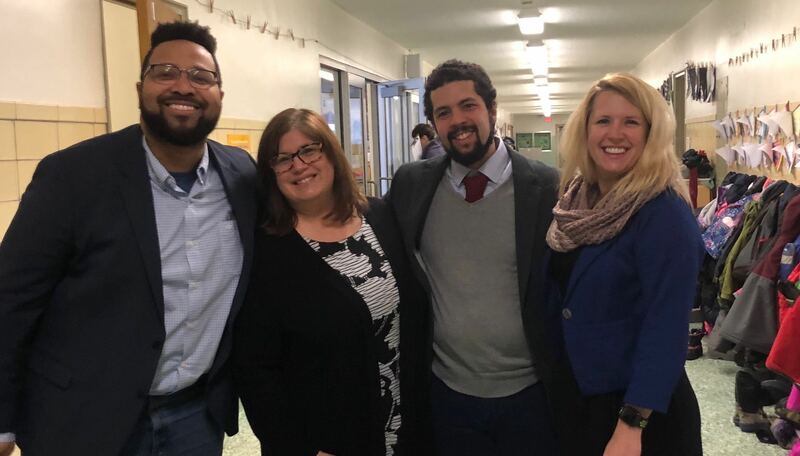 Leaders in the Fellowship participate in a full-time, paid, 12-month residency at Inspired Teaching Demonstration School while receiving support from Diverse Charter Schools Coalition’s UnifiED School Launch Program and CityBridge. The Fellowship culminates in applying for a new charter school and, upon approval, the launch of a new intentionally diverse charter school in Washington, D.C. Selection is open and the priority deadline for applicants to submit a resume is February 15, 2019. To learn more, please email aheard@diversecharters.org. The UnifiED Fellowship continues to recruit Fellows, outside of the Collaborative. To find out more about becoming a UnifiED Fellow or hosting a Fellow, please email aheard@diversecharters.org. The theme for our 5th Annual Convening is ‘Our Diversity is Our Strength,’ in which we recognize the power of bold change, and still acknowledge that we must go further and do more if we are to realize truly inclusive and equitable schools for all children. The convening will include sessions on individual member’s best practices, discussions to push thinking on diversity, equity, and inclusion, school visits, and other opportunities to meet and network with peers. We hope to see all of our member schools at this year’s convening in New Orleans in order to celebrate, reflect, and continue to learn. The DCSC and City Charter will be presenting this year’s California Charter Schools Conference! If any members are interested in what the conference will offer, we would love to connect with your school while you’re there. RSVP now to join the Coalition in Sacramento!